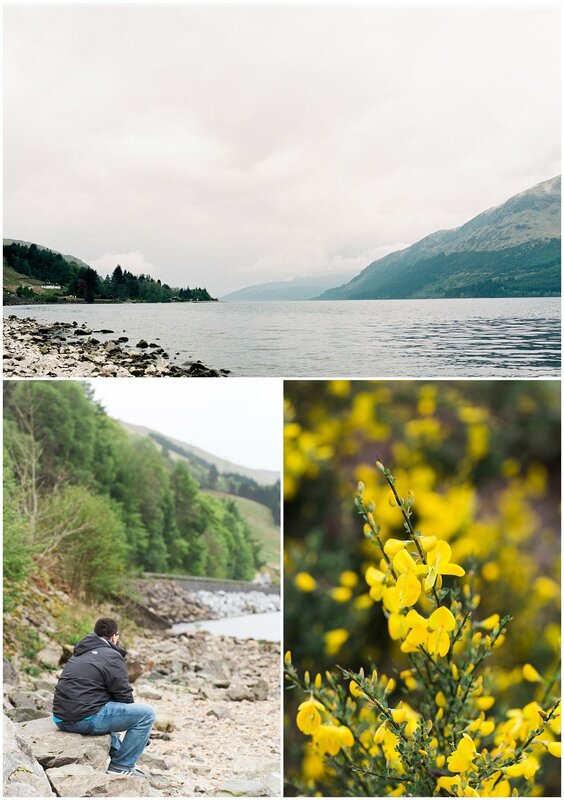 This blog post is full of a bunch of landscapes because well.. that's pretty much what I was consumed with once we arrived in the Scottish Highlands. After landing in London, we spent our first day there exploring the city (you can see photos from our first day in London on this post), but we were really excited to get on our train up to Scotland and spend a few days soaking in the natural beauty of a country we've been dying to visit for a long time. We arrived in Fort William fairly early in the morning and trekked to our rental car (a story for another day... it wasn't my moment of shining glory). I had requested a mid-sized sedan, we received a VW Golf. Not exactly mid-sized to us Americans, but it did the job. After figuring out how to drive on the opposite side of the road (terrifying), we made our way slightly south to Glencoe. Now, if you've ever watched James Bond's Skye Fall, you'll have seen this magnificent landscape as Bond and M made their way up to Bond's family home towards the end of the film. First, I love me some 007. Second, the moment I saw that scene, I had to figure out where on earth that was. Third, once I knew it was Glencoe, I made a mental note to my bucket list to see it for myself. And it did not disappoint! We weren't there very long because our drive to the Isle of Skye was going to take us quite a while, but it was well worth the extra 35 minutes to see such an amazing landscape. After a short hike and a couple of stops through Glencoe, we made our way back to Fort William for lunch and to find me an authentic Scottish wool tartan scarf. Ft William is definitely a place I would have liked to had more time in. It's such a quaint little town. 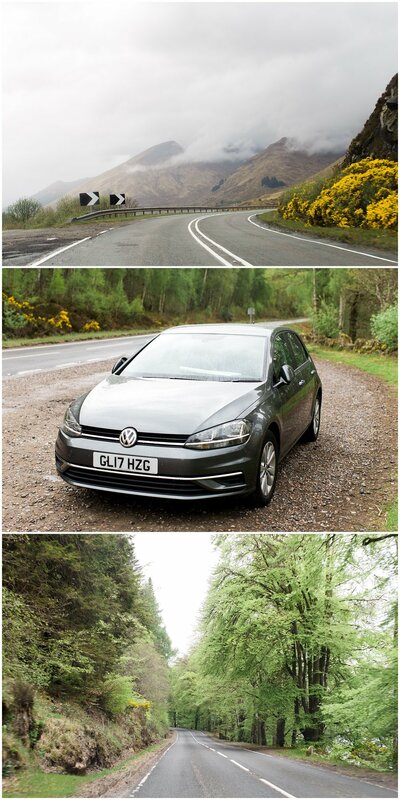 We then started our journey through the highlands up to the Isle of Skye where we'd be spending the next 3 days. There were many, many stops along the way at lochs, mountain ranges, and perhaps even a little stop for the bathroom because well.. there weren't many public restrooms along the way. Eilean Donan Castle was another item on our bucket list. Unfortunately, we didn't make it in time to head inside the castle, but we did get to have the entire grounds to ourselves for a time. When we first got to the castle, there were quite a few tourists hanging about, but some rain came through and everyone deserted the area for the shelter of their cars. We just decided to wait it out under the castle door's archway and portcullis, and got to explore once the rain all by ourselves. It was pretty magical, minus the hiding our camera gear in our coats. That was a little annoying. But, seriously, one of the most beautiful and magical places I've ever had the chance to experience and I'm so glad we took our time to explore such a beautiful country. To see more posts about our trip to the United Kingdom, check out London, Part I.